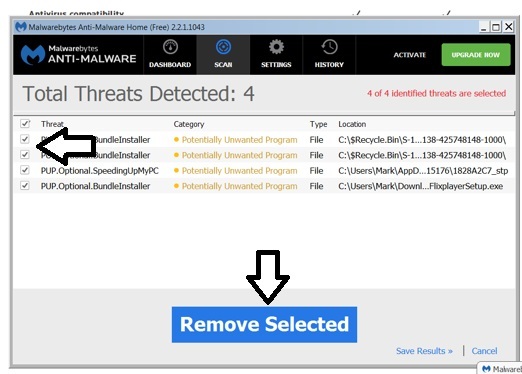 In Part I of this article, above, we looked at how to fight a malware infection by downloading and installing Malwarebytes. 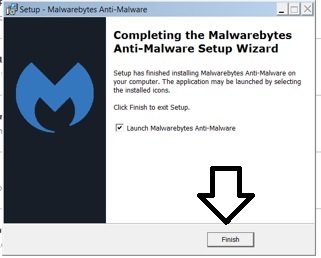 In Part II, we will look at how to run Malwarebytes to rescue your PC from malware. Once the installation process is complete (Part I), a new dialogue box will appear to let you know. 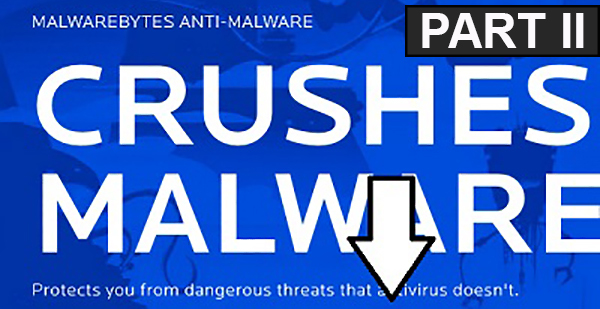 A box reading “Launch Malwarebytes Anti-Malware” will be checked. Click Finish to close the dialogue box and automatically launch the software. A new dialogue box will open that lists the type of license you have (in this example, Free) and the database version. (Since you just downloaded it, it will be the latest version). Click the big blue box that says Scan Now. 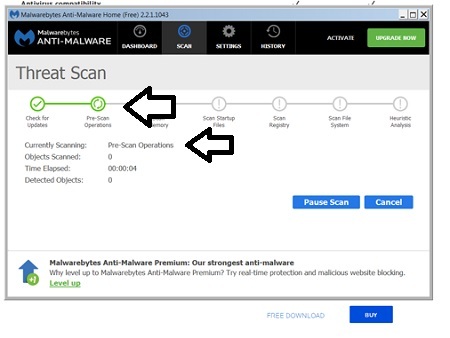 If you already have Malwarebytes installed on your computer and want to run it, open the app and choose Scan Now. Malwarebytes will now start scanning your entire computer for infected areas. The green circles show the status of the scan, while the box directly below shows the current file being scanned, the total number of files scanned, and the length of time the scan has been running. The scan could take a couple of minutes or it could take an hour, depending on the number of files you have and the size, age, and speed of your computer. Once the scan is finished, a complete list of threats will appear in the dialogue box. To remove the threats, check the box next to the word Threat in the top left corner, which will then highlight all of the individual boxes below. Next, click the big blue box that says Remove Selected. Another dialogue box will appear letting you know that you have to restart your computer to fully purge the malware from your system. Click Yes.